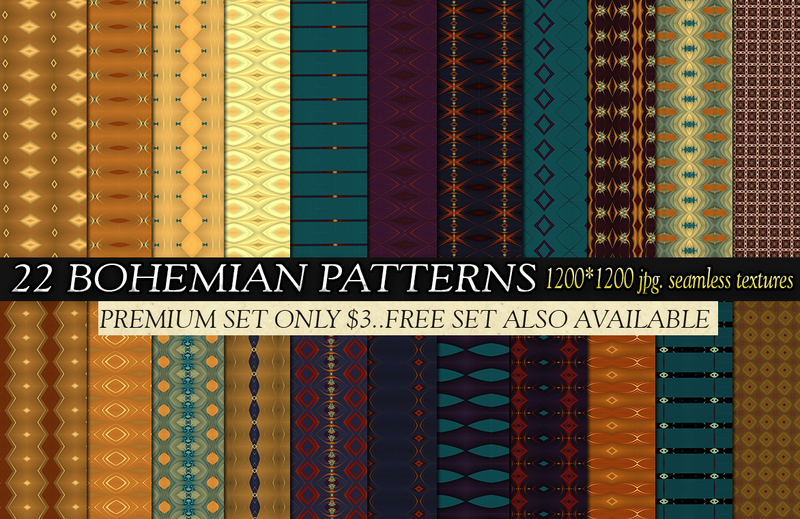 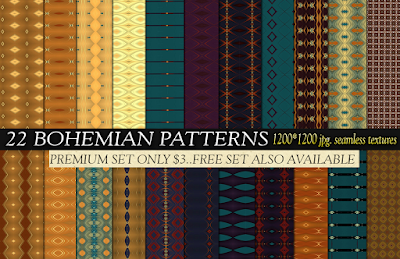 Hi all, I have uploaded 2 sets of patterns containing total 34 patterns..12 are free patterns and 22 are premium patterns you can purchase here at my store-- https://creativemarket.com/SherryLauren/573277-22-BOHEMIAN-PATTERNS costs only $3.. 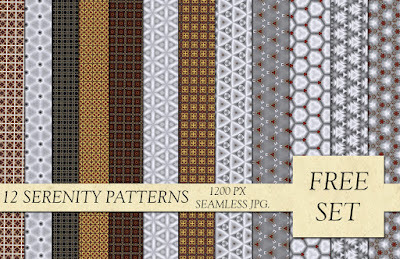 The free set is free for PU/CU use and modification..You will get each pattern 1200 px jpg. 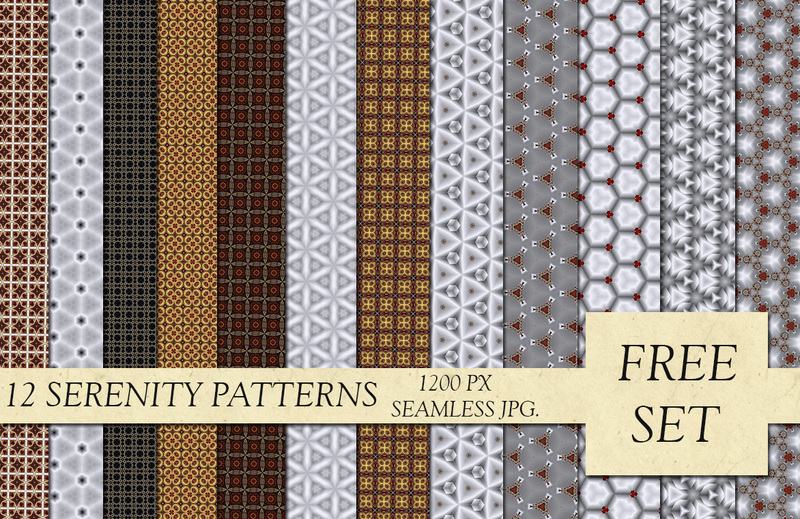 seamless textures and in photoshop you can easily change their color by just sliding the COLOR ADJUSTMENTS bar..